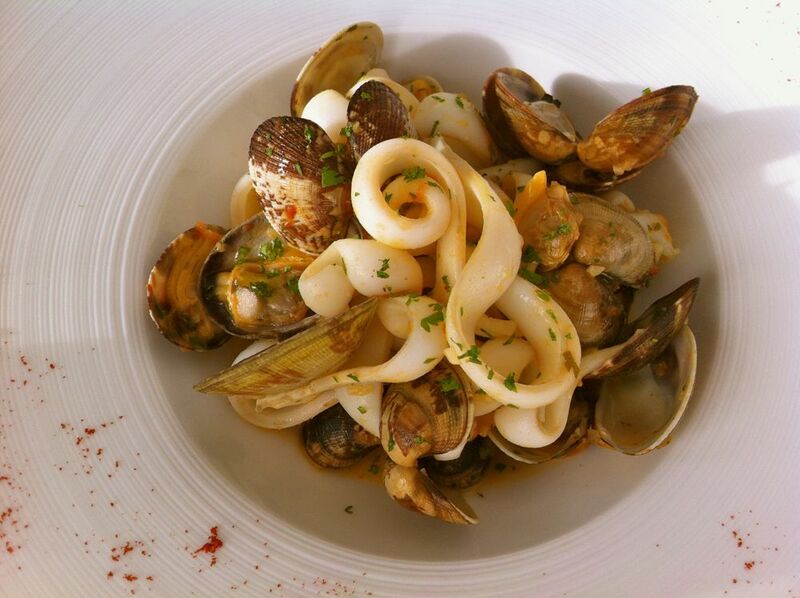 A cuttlefish cut like noodle and served like the classic spaghetti with clams but with a Spanish twist: the paprika "pimienton" and wine "manzanilla". A fast and easy dish. Served as an appetizer or tapas. 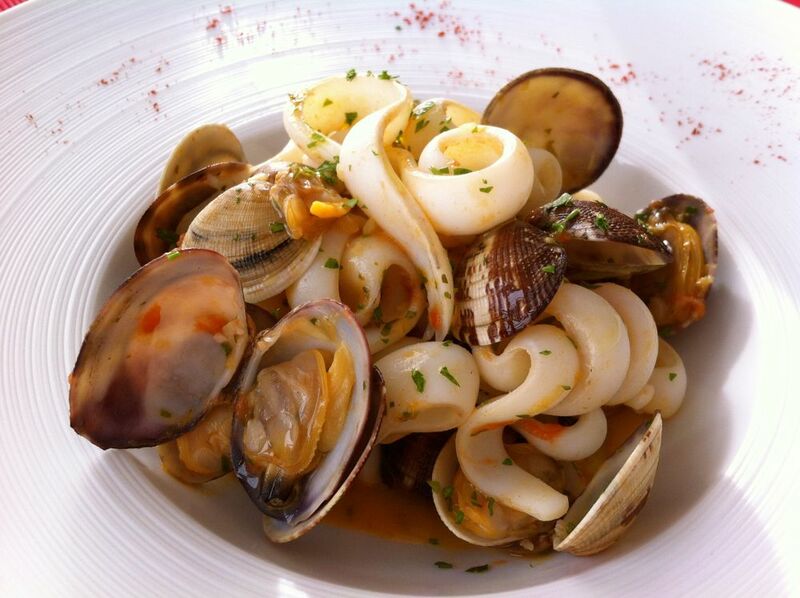 Manzanilla sherry wine combines fantastically with fish. Its''s a dry wine, with a light, aromatic taste and low acidity. Take a big size cuttlefish and cut into thin strips similar to noodles. In a pan lightly fry the chopped shallots, garlic and parsley with oil. Just add the paprika and immediately after the grated tomato. After two minutes add the clams, the wine manzanilla and cover. Once opened, add the strips of squid. 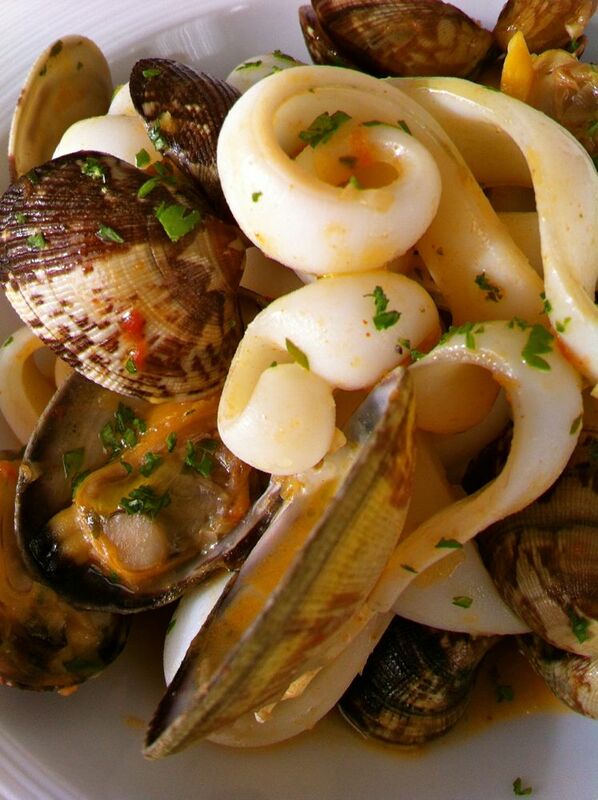 In the case that the clams have pulled out a lot of water, take them out with a slotted spoon and let the sauce reduce before adding the squid. Sautè a few seconds only the cuttlefish or it will become tough.Check seasoning but remember that the cuttlefish is enough salty by itself. Add a pinch of parsley and serve.